It is inevitable for people to grow up and be confronted by changes in the different aspects of their lives. People who find the maturity to listen to these changes are the ones who usually lead meaningful lives, while others who strive to continue to live the same monotonous routine because they are afraid of change are usually the ones who end up frustrated. You can’t teach and old dog new tricks. Old habits die hard. Why change something that is comfortable. People always tend to come up with excuses to avoid making changes in their lives. But you alone know yourself better than anyone will ever do. But most of the time, the very direction you should be headed to is the same one you are fighting against. It is extremely difficult to break old patterns. Even more reason to speak to a professional. But let us zero in on that one area of your life that people often find themselves helpless in implementing change: their love life. Why are there still a number of people who remain in unhealthy relationships? Or settle with someone who hasn’t really met their standards but they are somehow afraid to end up alone so they grab on the first opportunity at finding a partner? Or how about those who keep on finding themselves in a vicious cycle of destructive relationships? Why do some people keep on repeating the same mistakes when it comes to the love aspect in their lives? Why is it, despite the abundance of self-help books and often unsolicited yet experienced advice of friends and family, some people are still unable to stop themselves from heading into a nose dive in their romantic lives? But it’s not lack of knowledge that’s holding you back from having the kind of meaningful, loving relationship you want. You know exactly right from wrong, what works or what doesn’t work, and how you can turn your romantic life around. But what you lack is the motivation to accept the changes you have to make. This is where dating coaches come in very handy. They are like your personal trainer—not to tell you how to live your life and what dreams you should have. 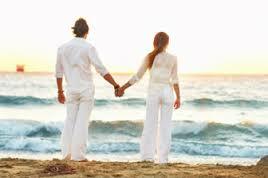 Your dating coach is your support and helps you in identifying and committing to your life and love goals. They are there to hold your hand as you undergo the process of transitioning from a hopeless, naïve romantic into mature, well-adjusted adult. Your dating coach is your personal cheerer as you sprint towards the finish line. They encourage and motivate you to keep on moving forward—because, honestly, you know you can’t do it on your own. Even if you don’t admit it, the area of dating and relationship greatly determines the level of happiness or sorrow you will experience. You are human and it is perfectly normal to admit that you need someone in your life. And when that someone seems elusive to you, you also have to admit that you’ll need help. Your dating coach is the help you’ve been wanting and waiting for. In order to move forward in your life and find the love of your life, a dating coach’s guidance is what you need. It’s when you decide to make a change for the better that the universe conspires to give you what you truly deserve.